It’s one of those sensations that nobody wants to experience again; the feeling that you have to rush, in a bid to avoid disaster. Diarrhea has come, and from now on until the next few days you will tread carefully when it comes to activities, food and drink. Today’s post is going to focus on the food element of the above sentence. For many of us, a bout of diarrhea means one thing – we swear to stop eating until it has completely gone away. Of course, this approach has its own pitfalls. You’re going to lose weight, you’re going to be lacking in energy, you’re going to be even more dehydrated and in short – it’s not a worthy solution. Fortunately, there are some foods which can help you along the way. There are some foods which can make this tricky situation at least a little easier to deal with, and help your recovery phase in the process. We’re by no means saying that it’s going to be pleasant, but if you are looking to rid your body of diarrhea and at least reduce the side effects it’s time to read on about five foods that you really should be turning to at this time. 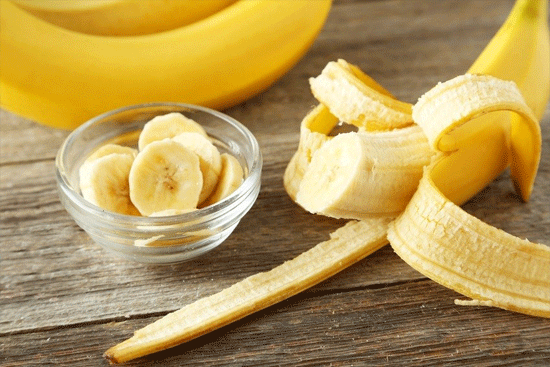 They might be regarded as that food which marathon runners head for, or anyone else who requires a carbohydrate-punch after a grueling cardio workout, but in the case of diarrhea bananas are most definitely a food that can work wonders for your stomach. Firstly, the fact that they are seen as “gentle carbs” means that they aren’t going to place as much pressure on your gut as other food types. Something else that works in their favor is the potassium-factor. Whenever you have diarrhea, this is one of those components that exits your body very quickly and you need to replace it. As bananas contain potassium in abundance, it means that the problem is solved in an instant. Finally, bananas also happen to be high in something which goes by the name of pectin. The role of pectin is to help liquids absorb quicker in your intestine – which is obviously of even more importance during those bouts of diarrhea. The upshot of this is that any poop can move a lot more smoothly. As such, make sure your diet does include bananas. Of course, we’re by no means suggesting that you should turn to any banana-related deserts; it should go without saying that this is just asking for trouble. Instead, keep it simple, and just eat them plain. There’s no doubt that this next element on the list is most certainly going to raise a few eyebrows. After all, eggs are regularly regarded as being unkind to your stomach at the best of times – although this is usually related to the way in which they are cooked. In the case of diarrhea, taking on a small number of eggs during this period can help you no-end. This isn’t some sort of fad approach either – it’s one that has been vindicated by several medical organizations. The basis of the suggestion is that your body needs semisolid and low-fiber foods – and the reasons for this should be obvious. Eggs most certainly fall into this category and can ease your stomach back into the “normal” processes as you start to recover from your illness. 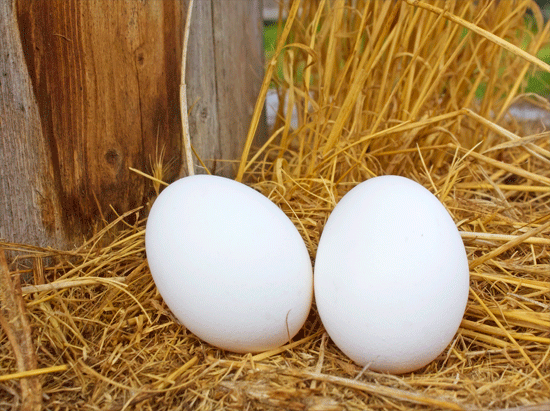 At the same time, there are a few “don’ts” associated with eggs when you have diarrhea. As we touched upon earlier, a lot of the reputation of eggs revolves around how they are cooked. For this reason, you should look to avoid the likes of butter and oil whilst cooking. You should also ensure that they are cooked very well; the last thing you want is to taste undercooked eggs during this period. Finally, omelets are off the menu – for all of the above reasons. For some of you, it might be a staple of your diet already. 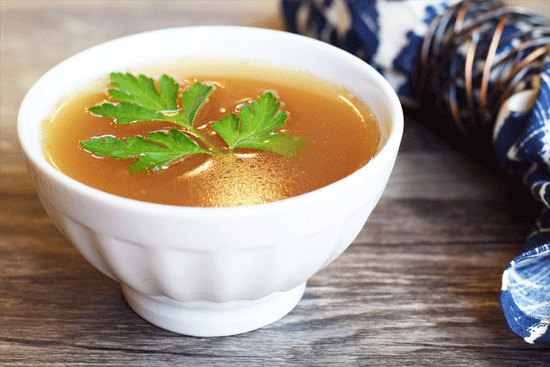 For others, you might have barely heard of the term broth. Well, for the purposes of diarrhea, you need to insert it into your diet. As we all know, one of the downsides (and there are plenty) of this condition is dehydration. While it might not be blatantly obvious at the time, your body loses a lot of fluids during the illness. Many of us solely concentrate on what foods we should be turning to and whilst this is obviously of huge importance, let’s not forget about water. Following on from the above, the best approach is to combine both food and water. This comes in the form of broth, which is of course of a “runny” texture whilst still containing all of the vital vitamins that your body may have just released. As well as the above, let’s not forget that a lot of people will make broth for several days at a time. It means that in the middle of your condition, you don’t have to be worrying about what to cook or how to cook it. It’s been made for several days in advance. This next suggestion might raise a few eyebrows, especially as we spoke about dairy products being anything but good for a stomach suffering from diarrhea. This is why when we say that you should turn to mashed potatoes, we are talking about “adapted” mashed potatoes. You need to consume ones which don’t contain any butter or milk – which are only going to cause problems during these dark hours. 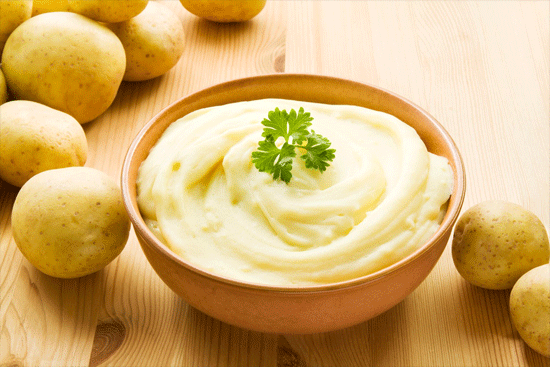 Fortunately, making mashed potatoes without these so-called vital ingredients is easier than most people think. If you can steam a potato, before mashing it with a fork, you will be surprised at how the consistency is actually very similar to what you normally consume. The reason all of the above is important is again because of potassium. Just like bananas, which we spoke about earlier, potatoes contain this in abundance. When this is combined with the fact that potatoes are easily digested, it makes them an easy winner for anyone suffering. Let’s conclude with something of an old classic. Rice has been one of the stereotypical solutions for diarrhea and in truth, it’s for excellent reasons. We’ve spoken about hydration, nutrients and all sorts of other factors that can help you with diarrhea so far. Something that hasn’t been touched on is binding though. 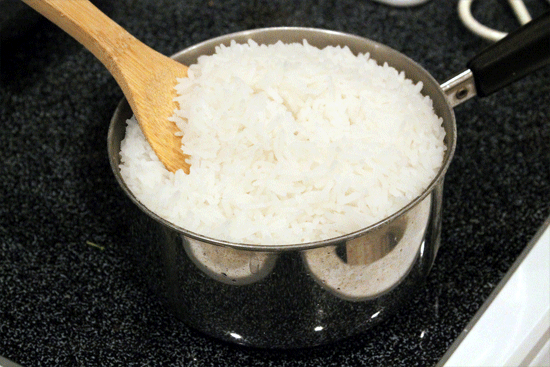 Rice is something that can help your food bind, and this obviously makes it a lot more solid. As we all know, this is crucial in a bid to avoid the diarrhea-free body! It’s at this point that we should make the normal caveats that we have spoken about through the course of this post, and in relation to all of the other suggestions we’ve made. Egg-fried rice is obviously going to be a no-go area; while eggs on their own can be good, the fact that these are made with either butter or oil means that combining them with rice is a disaster waiting to happen. It might be boring, but plain rice is the best way to go here. 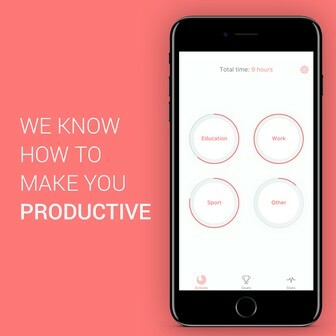 By keeping things simple, you will slowly ease the symptoms of the problem – rather than potentially multiplying them.